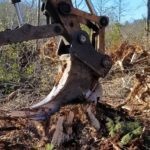 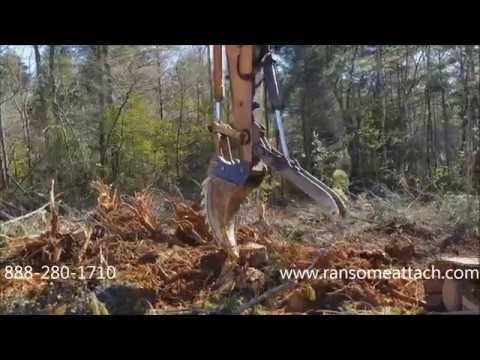 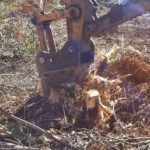 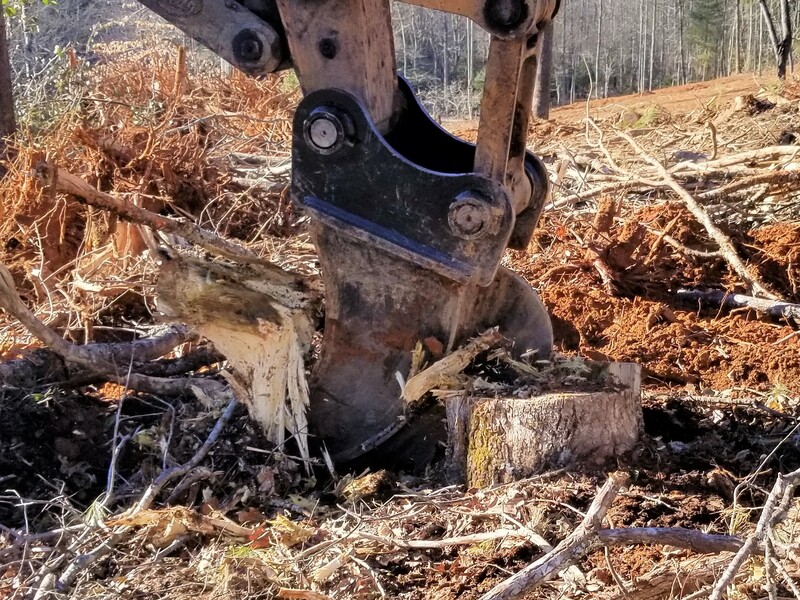 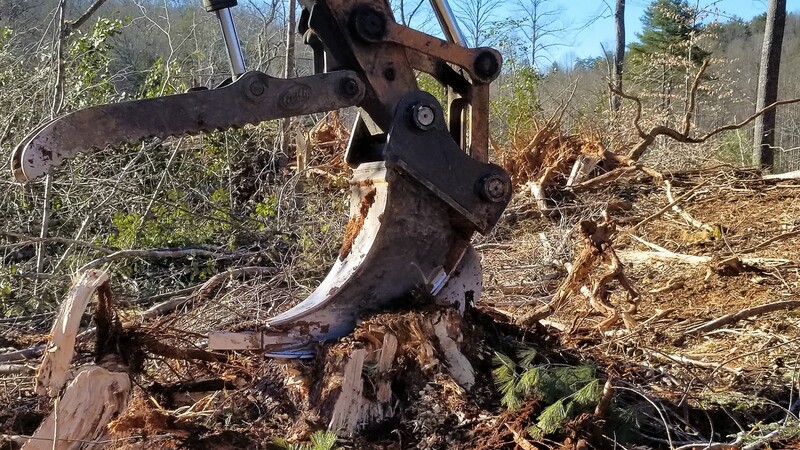 The Ransome Shark Tooth Stump Splitter / Harvester model RST 150 allows you to saw through stumps in the ground of various sizes and types then split with the wedge shape of the tooth and extract with a 15-24 ton excavator. 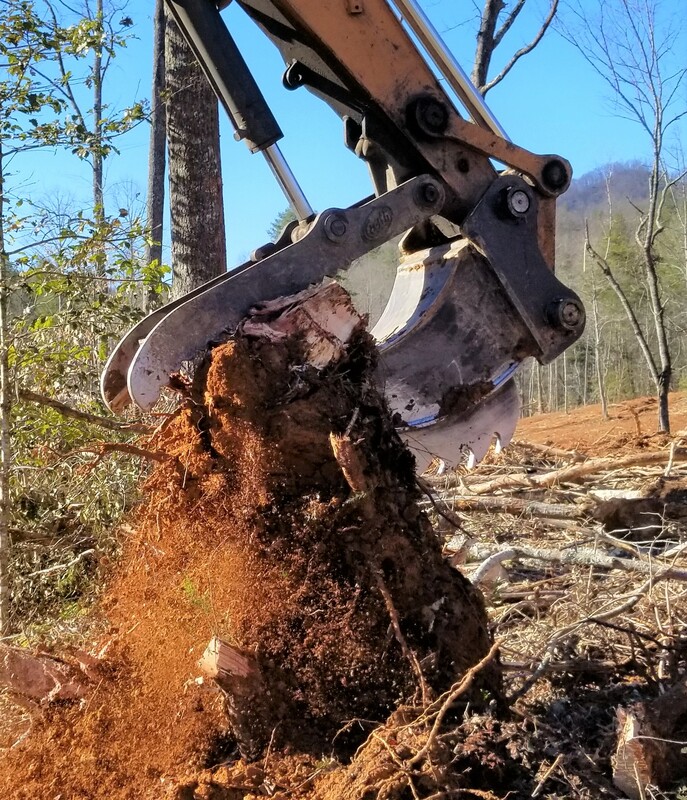 Built in the US with AR 400 steel; built to last. 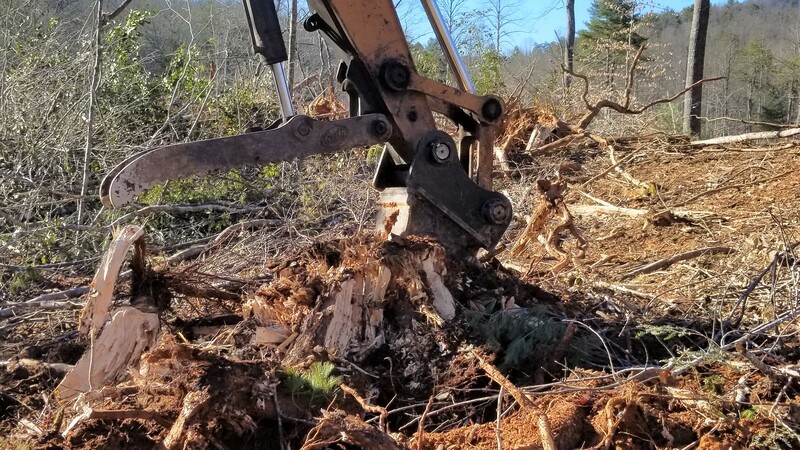 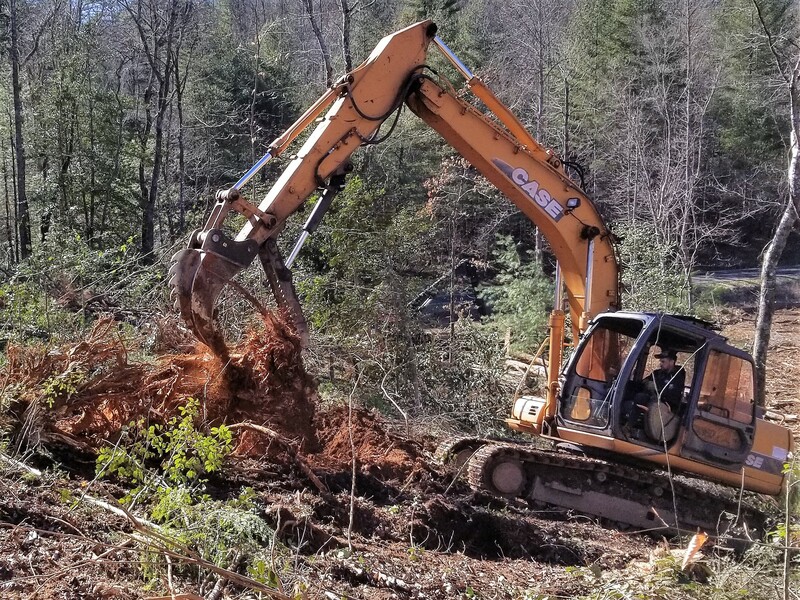 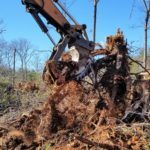 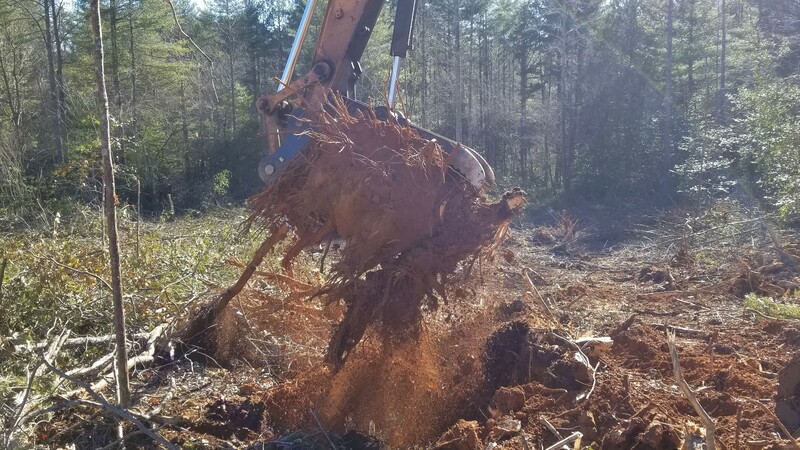 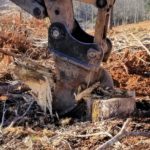 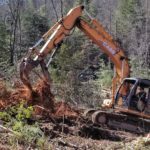 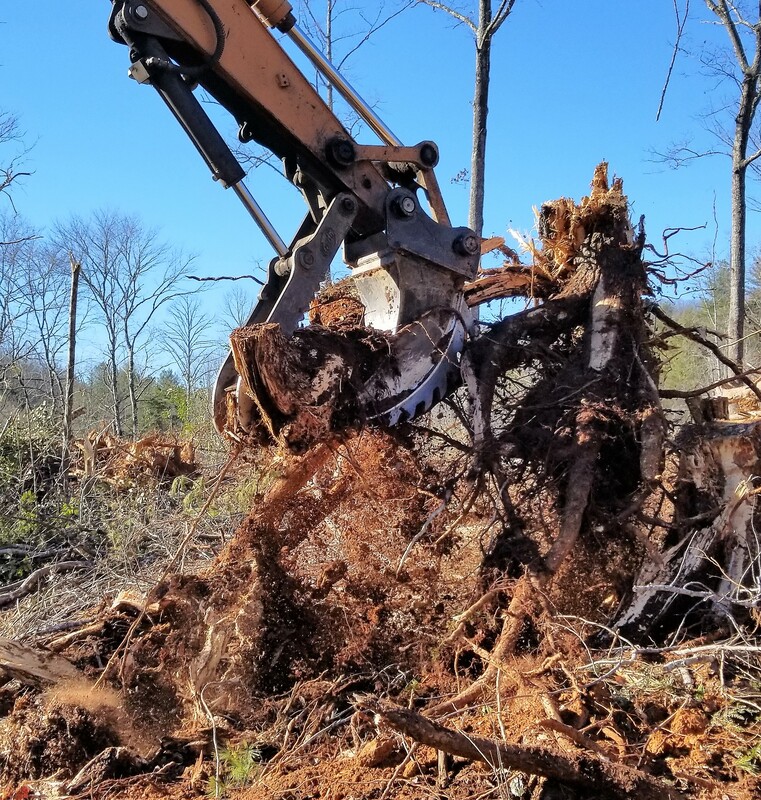 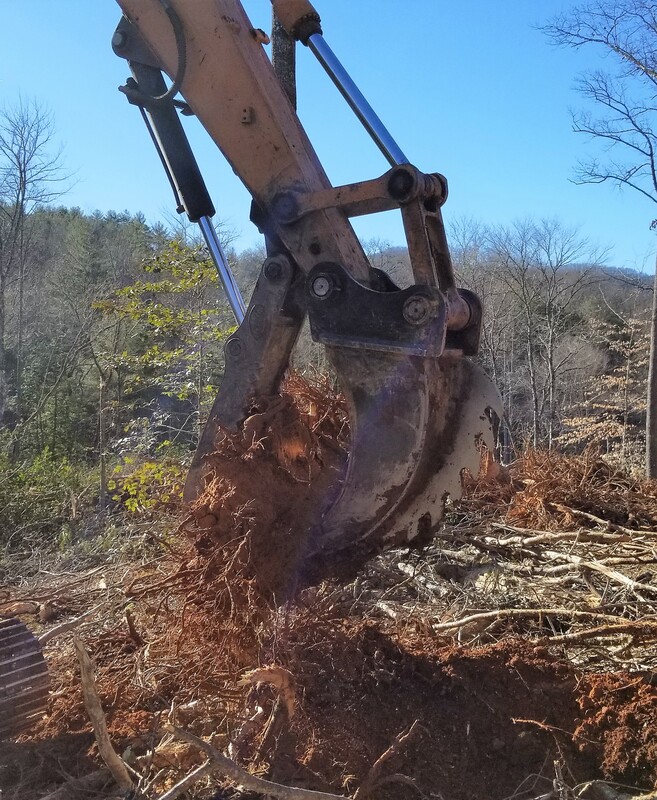 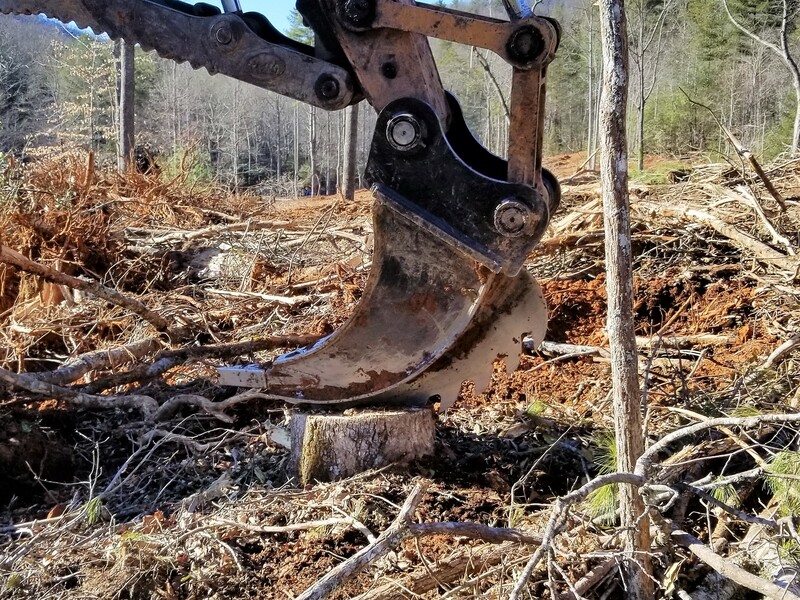 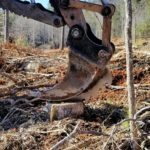 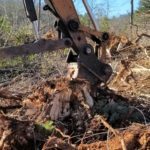 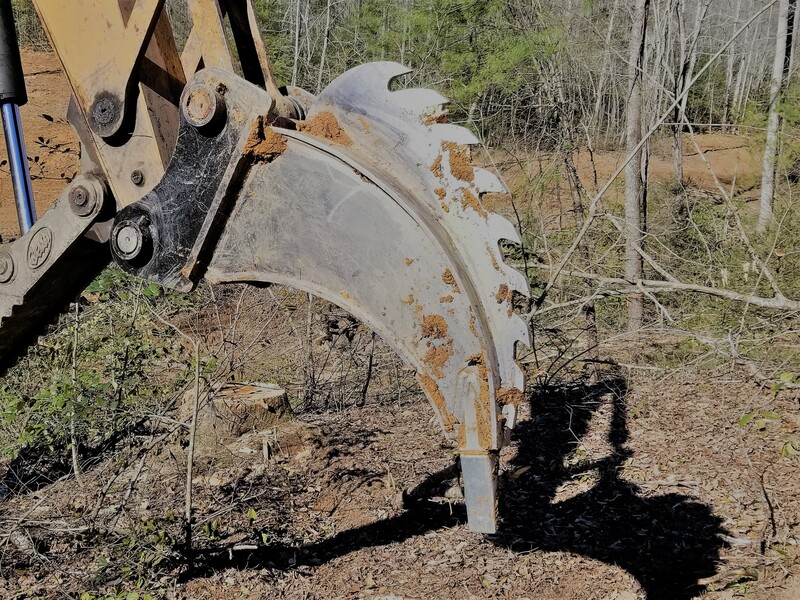 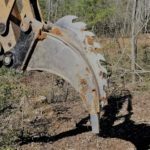 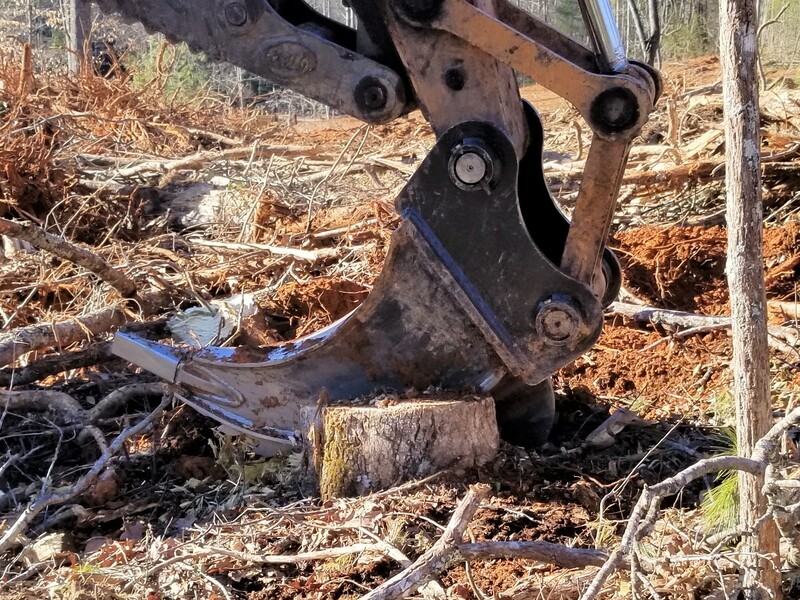 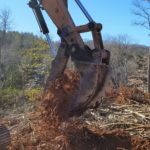 The sturdy and effective Shark Tooth will save you tons of time and money on your smaller excavator for land clearing jobs. 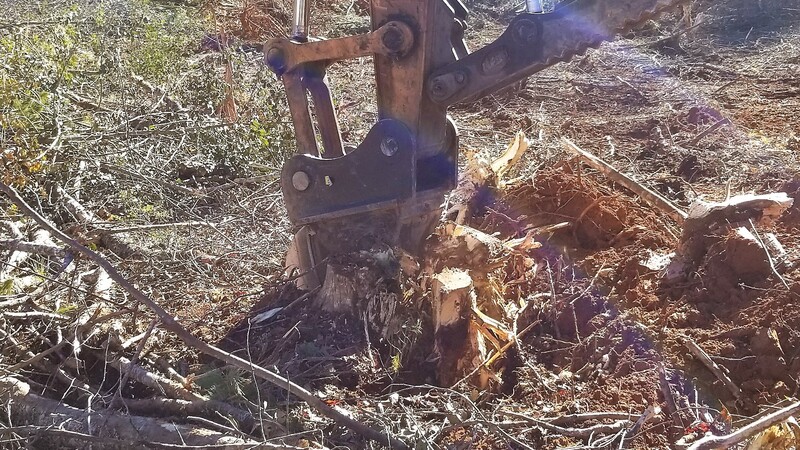 Splitting the stump in the ground and harvesting the downsized stump sections with this attachment has many advantages like less wear and tear on your machine and less disturbance to the ground when compared to using a bucket, less need for larger excavators, making much fewer trips to haul away whole stumps along with ease of processing and much safer than some traditional means. 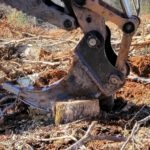 Once the stumps are split, use the Ransome Shark Tooth (with a thumb) to extract from the ground or load into tub grinder or container. 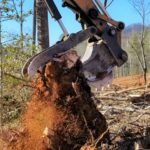 With this tool, you will not need to have a larger tub grinder. 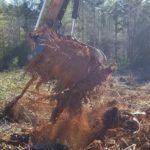 The use of the RST saves you money and increases profits without have too invest tens of thousands of dollars.